As a business owner, you want to make sure that your company gets the marketing boost it needs. One way to promote your company is through custom promotional merchandise made exclusively for your brand. 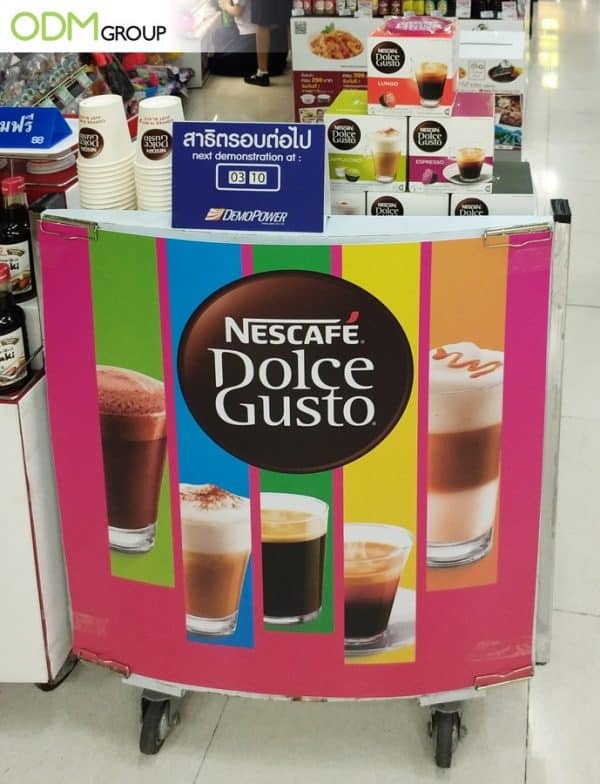 In Thailand we can see a great case study from well known brand Nescafe. They use branded coasters to promote their Dolce Gusto line. Check out this product display at supermarkets in Thailand. 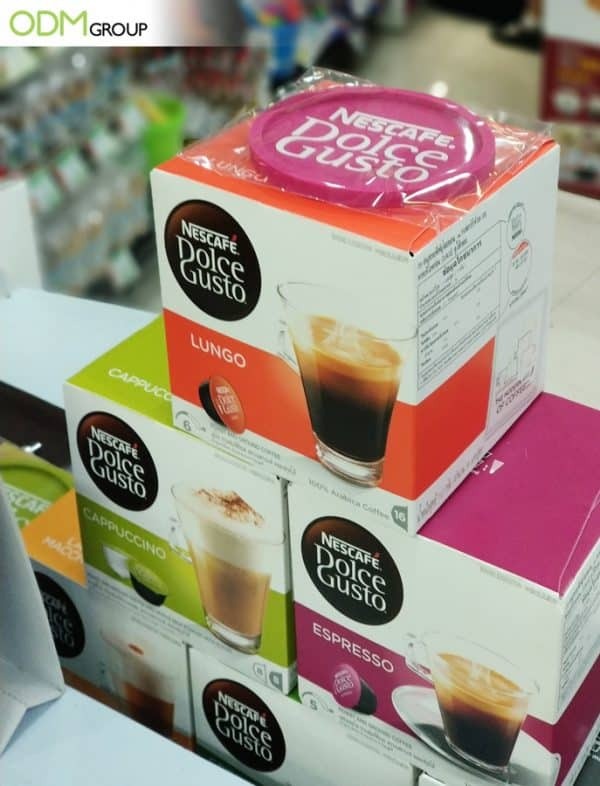 Each box of Nescafe Dolce Gusto comes with a coffee cup coaster as a gift with purchase. Why promotional coasters? Here, at ODM, we have written a number of case studies about mug coasters as marketing gifts. And we love how flexible this product is. Ideal for Drinks: Since it keeps your favorite beverage from spilling or staining your table, this product will work great for drinks promotions. This is perfect for dinners, parties, meetings, office, and home use. With your brand on it, the coaster helps spread the word about your brand. Aside from the free coaster, the brand also used a live demonstration to show how their coffee machine works. Incorporating a live demonstration is a great way to make prospective customers interested in your product. This is because buyers can see how the product work and their benefits first hand. Since it helps sustain customers’ interest, it can also inspire impulse purchase. If you want to know more about how we can help create cool branded coasters and other promotional items, contact us. Here at ODM, we can help you create unique promotional products and other marketing gifts for your company. Below are some design inspirations for your ext brand campaign. This teapot-shape coasters make a fantastic freebie for tea and coffee products. We love the fact that there is a branded POS Display on wheels for this promotion. Great for moving around the shop.